Would you like to learn the essential academic English vocabulary for studying a university course in English, for IELTS or for a pre-sessional language course? 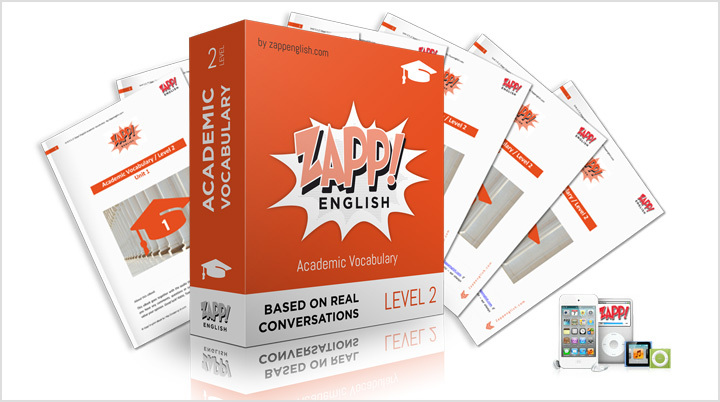 This intermediate Zapp! 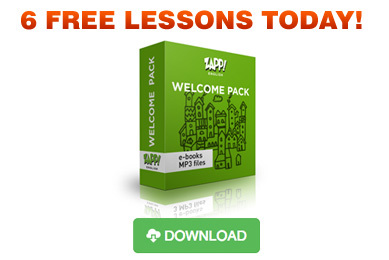 English Academic Vocabulary listening pack with real English conversations contains 10 interactive English classes, with 5.3 hours of audio and 10 e-Books which include full written transcripts of the audio, plus additional practice exercises & answers.